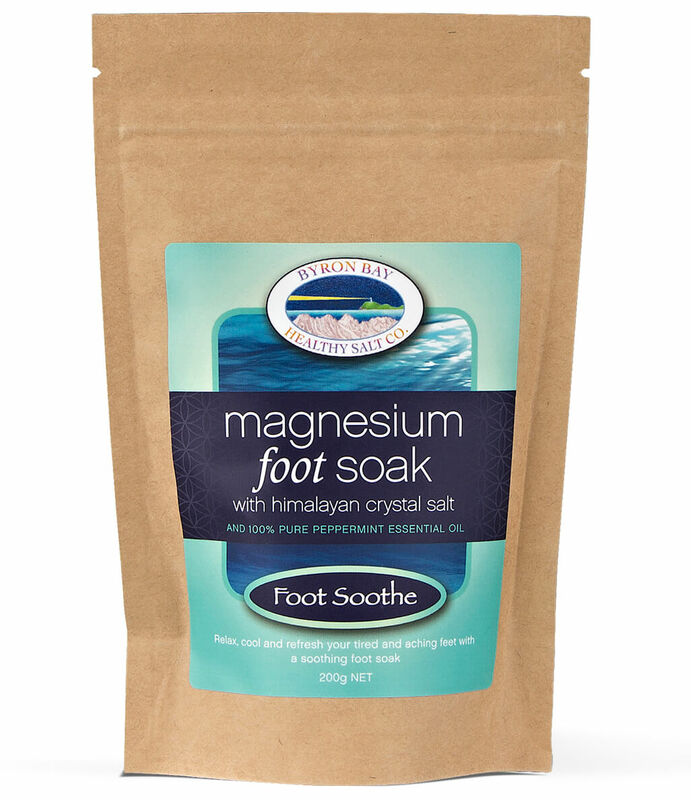 Foot Soothe Magnesium Foot Soak 200g NET - Byron Bay Healthy Salt Co.
You don’t have to suffer from muscle aches and joint pain to benefit from our Magnesium Cream. 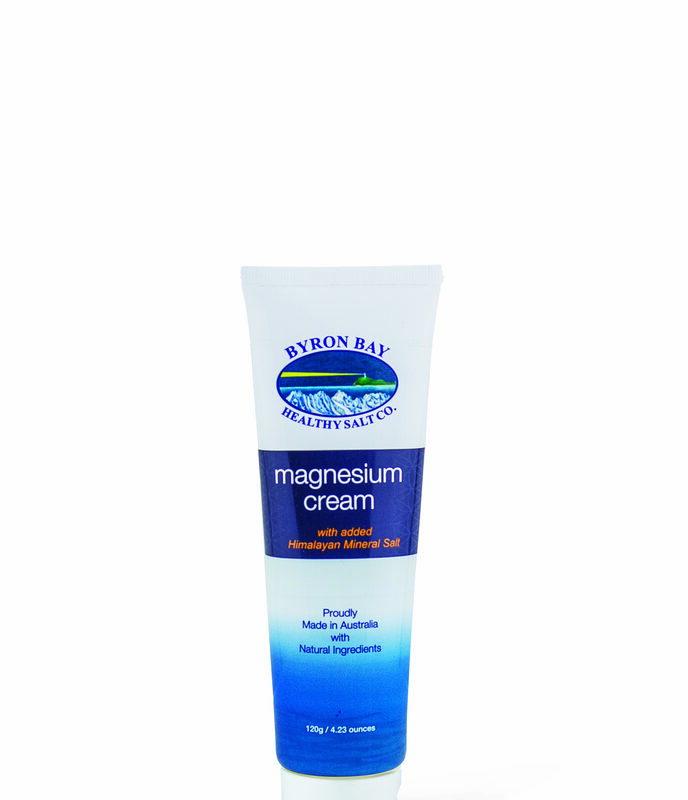 With added Himalayan Mineral Salt, our topical Magnesium Cream can be applied all over the body to soothe and nourish your skin, muscles and joints. 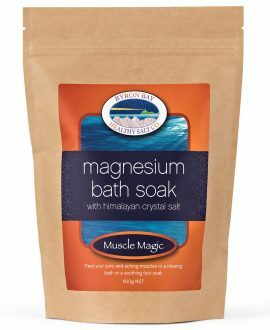 Magnesium is one of the most vital nutrients our cells crave daily, without it, they can perish. Our brand NEW cream is made from natural plant ingredients. Just apply daily as your normal moisturiser to assist your magnesium levels. DIRECTIONS: Apply directly onto skin, muscles and joints and rub in. Suitable for all skin types. Can be used on the face, although some may find a little strong, so we recommend patch test first on the body. Had a hard day on your feet? Are your feet tired, sore, aching and in need of some attention? Relax, soothe and refresh them. 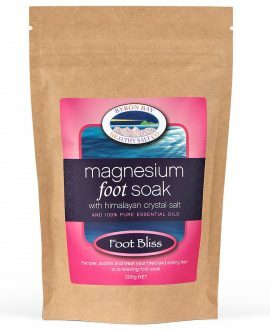 Foot soak leaves feet feeling clean, refreshed and odour free, perfect as part of your pedicure or self pamper ritual or just to give your feet a treat! Peppermint Essential Oil – soothes, cools and refreshes sore & swollen feet. Tea Tree Oil is anti-fungal, anti-bacterial and helps removes foot odours. Combined with Epsom Salts, it softens rough skin and callouses.